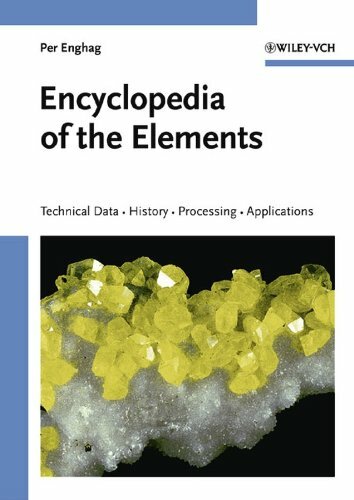 Famous for its history of numerous element discoverers, Sweden is the origin of this comprehensive encyclopedia of the elements. It provides both an important database for professionals as well as detailed reading ranging from historical facts, discoverers' portraits, color plates of mineral types, natural occurrences, and industrial figures right up to winning and refining processes, biological roles and applications in modern chemistry, engineering and industry. Elemental data is presented in fact tables that include numerous physical and thermodynamic properties, isotope lists, radiation absorption characteristics, NMR parameters, and others. Further pertinent data is supplied in additional tables throughout the text. The Second Edition of Thermal Characterization of Polymeric Materials, edited by Edith A. Turi, continues the tradition of the widely acclaimed original work, providing a comprehensive and fully current reviewof the literature and techniques of thermal analysis of polymers. 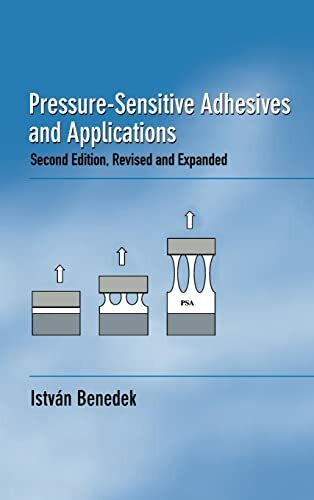 The two-volume set provides an in-depth overview of thermal analysis by focusing on instrumentation and a wide array of applications in research, development, production, quality control and technical service. Readers will benefit greatly from the well-coordinated and clearly written chapters, which are replete with practical examples. Chapters are written by world-renowned authors and include important, previously unpublished experimentaldata. Fully revised and updated, this Second Edition has grown from 960 to approximately 2500 pages, reflecting the explosive development of the field during the past fifteen years. 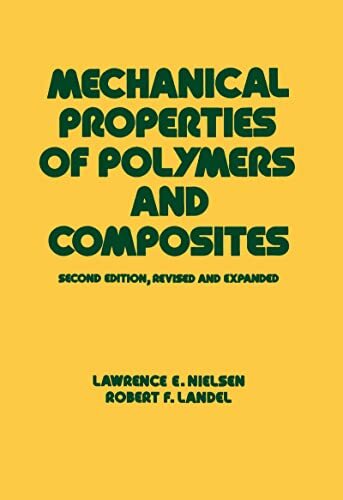 This comprehensive two-volume set is an invaluable reference source for chemists, engineers, physicists, and other professionals involved in research, development, production, applications, characterization, and evaluation of polymers. 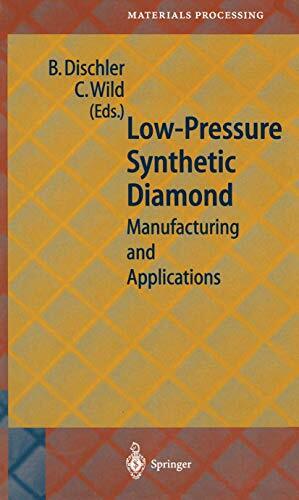 This book describes the operation of a particular technique for the production of compound semiconductor materials. 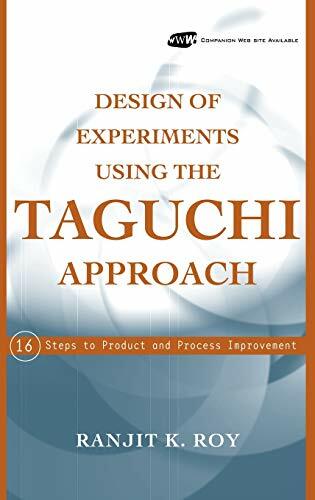 It describes how the technique works, how it can be used for the growth of particular materials and structures, and the application of these materials for specific devices. It contains not only a fundamental description of the operation of the technique but also contains lists of data useful for the everyday operation of OMVPE reactors. It also offers specific recipes that can be used to produce a wide range of specific materials, structures, and devices. 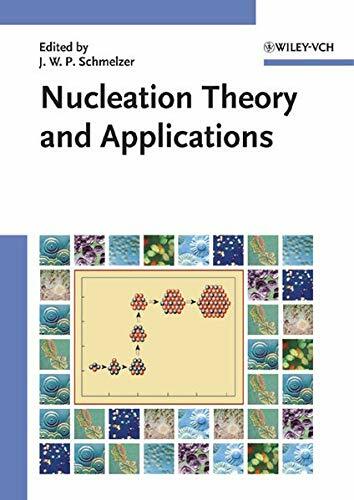 I'm surprised by the online reviews for this book so far and it seems to me they are written by people who do not fully understand (or appreciate) the kinetic, thermodynamic, thermal issues, mass transport, fluid dynamic or reactor design aspects of OMVPE. Whether you're starting out or have been in the field for a while, this book is a must have. Stringfellow is one of the few people who understands the finer aspects of OMVPE. His qualitative and quantitative treatment of concepts is lucid, accurate and comprehensive. The older edition was getting out of date. The newer one adds information generated in the recent past. I would suggest browsing through the book and rating it yourself. You will not be disappointed. 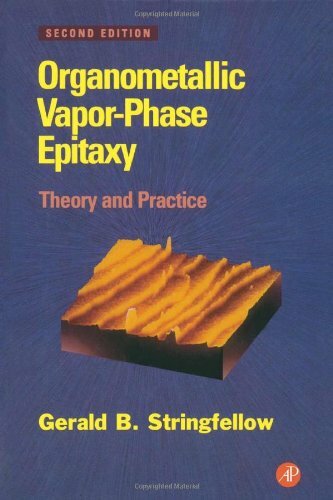 If you are unfamiliar with the field of OMVPE this text would serve as a good introduction. It does indeed cover the fundamentals of the OMVPE process. However, that is about all it covers. 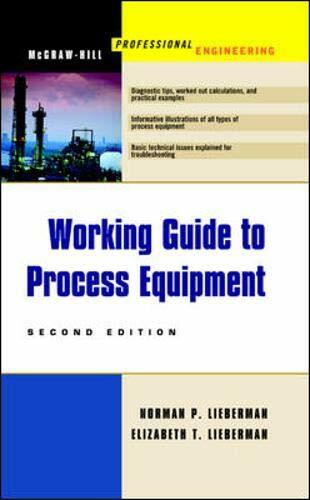 For those in industry or academia who are already acquainted with OMVPE, this book adds very little to your knowledge or understanding. The theoretical and mathematical treatment of the various issues listed is practically nonexistent. The sections that actually contain formulae are few and far between. Again, this is great if you are just starting to learn; this is rather disappointing if you are looking for an in-depth treatment of OMVPE. The one saving grace is that there are extensive lists of references that you can track down to find the details that are left out of the book itself. That's a lot of money for just a reference list though. Stringfellow is the authority on OMVPE. Great Book. This is a great book if you want to know the science of OMVPE. Stringfellow is considered by many people to be the authority on this subject. You can't go wrong with this book. It's referenced in nearly every OMVPE journal article I have read. Buy This Book If You're Using Someone Else's Money!! Whether you are involved with selling raw materials, producing rubber compounds, or designing rubber components and products, The Rubber Formulary is the right data source to meet your needs. This first ever collection of 500 suggested formulas has been provided by raw materials suppliers around the world. Written for both technical and managerial personnel, this collection of formulas and basic texts will also benefit students and other individuals just entering the field. The formulas are introduced by an overview of compounding raw materials, processes and evaluation techniques. The eleven formulary sections are grouped according to elastomer type. Convenience is the primary reason for this book. 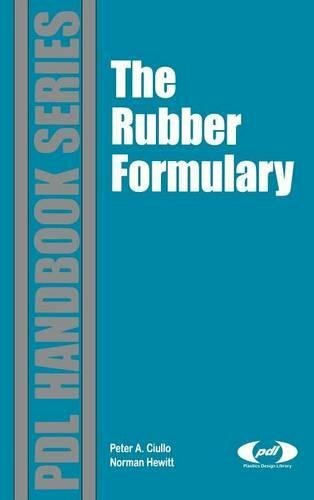 With the variety of uses for rubber being as broad as the imagination, a formulary which includes an overview of the history of rubber, as well as sections on ingredients, processing methods, and testing, is a welcome addition to any manufacturer’s library. An advanced yet accessible treatment of the welding process and its underlying science. 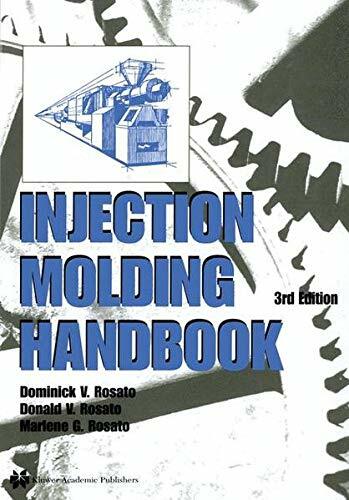 Despite the critically important role welding plays in nearly every type of human endeavor, most books on this process either focus on basic technical issues and leave the science out, or vice versa. 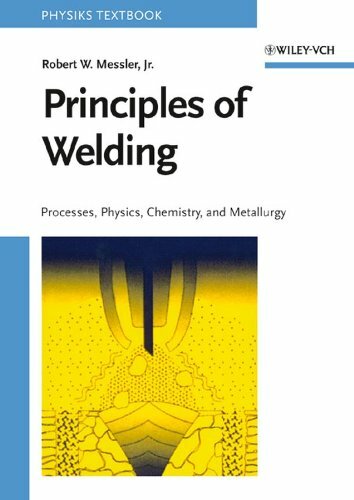 In Principles of Welding, industry expert and prolific technical speaker Robert W. Messler, Jr. takes an integrated approach--presenting a comprehensive, self-contained treatment of the welding process along with the underlying physics, chemistry, and metallurgy of weld formation. 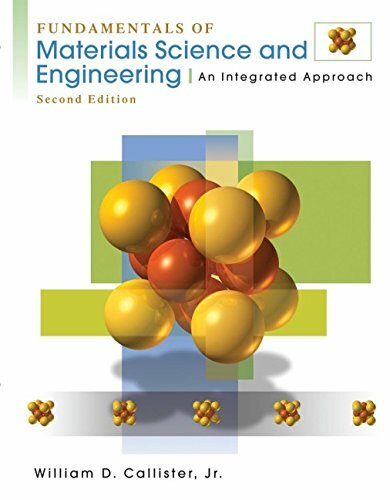 Promising to become the standard text and reference in the field, this book provides an unprecedented broad coverage of the underlying physics and the mechanics of solidification--including peritectic and eutectic reactions--and emphasizes material continuity and bonding as a way to create a joint between materials of the same general class. 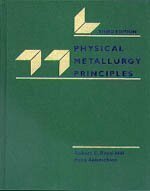 The author supplements the book with hundreds of tables and illustrations, and correlates the science to welding practices in the real world. 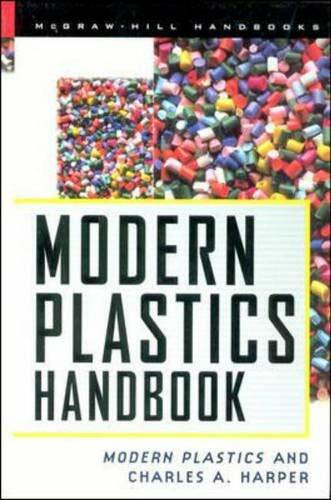 The book covers current knowledge on all aspects of polyester synthesis, structure, properties (chemical, physical and application relevant) and recycling. 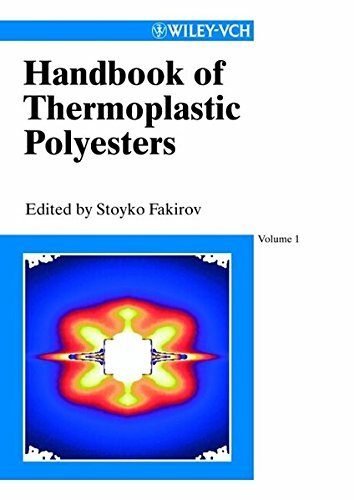 The most important technical polyesters are presented in detailed chapters, homogeneous polymers as well as copolymers, blends and high-performance reinforced polyester materials are discussed. The book presents a comprehensive discussion of the most common microbicides (approx. 300) used for the protection of materials and processes against biodeterioration. The characteristics of each microbicide, e.g. chemical and physical properties, effectiveness and spectrum of efficacy, the knowledge of which is a prerequisite for the effective use of microbicides, are discussed. It is also informed about the toxicity and ecotoxocity of the microbicides. The corresponding depth of knowledge and experience makes uses of microbicides possible without damage to human health and environment. The corresponding legislative aspects are regarded in a special chapter. 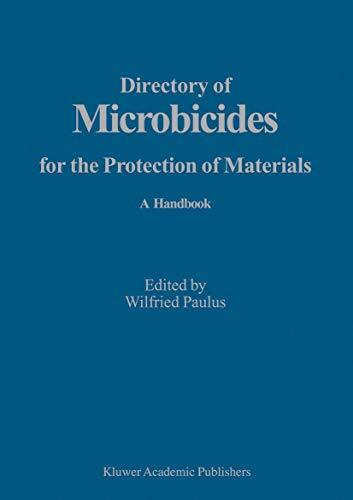 This new book is not a simple revised new edition (second) of the Handbook Microbicides for the Protection of Materials which appeared in 1993. -The use of microbicides in the major application areas (18) which are described in detail. The Microbicide Data is organized into 21 substance classes (e.g. alcohols, aldehydes, acids, amides, etc.) and collected in Part Two. Part One signifies an important perfection and increase in actuality. In part two, `Microbicide Data' is an eagerly anticipated actual inventory of the old book. The combination of the two parts in one book is special and has resulted in the most authoritative information in the field. Accordingly this book will be invaluable not only to all those using microbicides, but also to teachers and students working in biodeterioration and anyone engaged in research and development in the microbicide field. An overview of recent developments in the field of first-order phase transitions, which may be considered a continuation of the previous work 'Aggregation Phenomena in Complex Systems', covering work done and discussed since then.